Please join us on Tuesday, April 16, 2019, 5-6pm, for the Friends membership meeting. 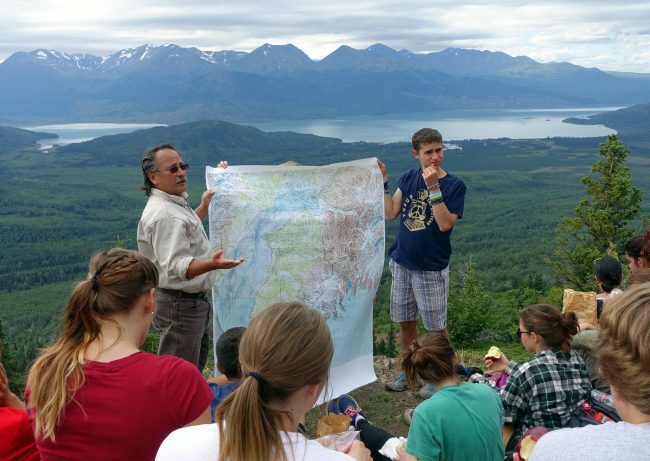 The Kenai Peninsula is one of the best-studied parts of the state for climate change effects and John Morton, a supervisory biologist for the Kenai Refuge, has been a key part of that. Managing the effects of rapid climate change on the 2 million-acre Kenai National Wildlife Refuge will be a challenge to its primary purpose of conserving natural diversity. In 50 years, the treeline rose 50m in the Kenai Mountains, wetlands decreased 6-11% per decade, the Harding Icefield lost 5% in surface area and 21m in elevation, and available water declined 62%. Late summer canopy fires in spruce are being replaced by spring fires in bluejoint grasslands. Water temperatures in nonglacial streams already exceed physiological thresholds for salmon during July. Bird species are moving north and more than 130 exotic bird species have become established. Climate-envelope models portray a very different future landscape with alpine tundra replaced by forests and lower elevation forests replaced by hardwoods or possibly catastrophic deforestation. How can the Refuge or any of the refuges manage for biodiversity under this scenario? New People: Why did you join the call today?